Bringing a World Class Hotel to the Old Royal High School, Edinburgh. 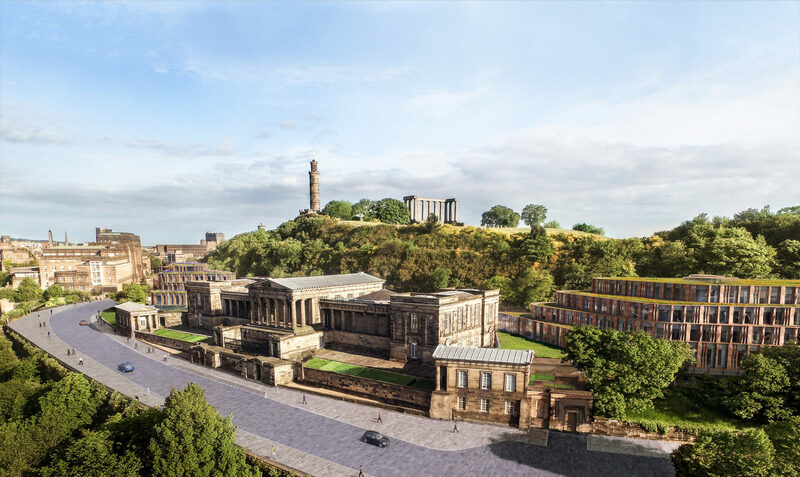 Scroll through to see how a world class Rosewood Hotel would transform the site of the Old Royal High School in Edinburgh. Thomas Hamilton’s magnificent centrepiece of the former Royal High School, Edinburgh is one of the nation’s most important buildings. It deserves a future which reflects the vision and aspiration of its past. Duddingston House Properties and Urbanist Hotels, the co-investors and developers behind the plan to bring the Rosewood Hotel to the old Royal High School site, are committed to delivering what was promised when the OJEU notified concept competition was decided by the City of Edinburgh Council in 2010. 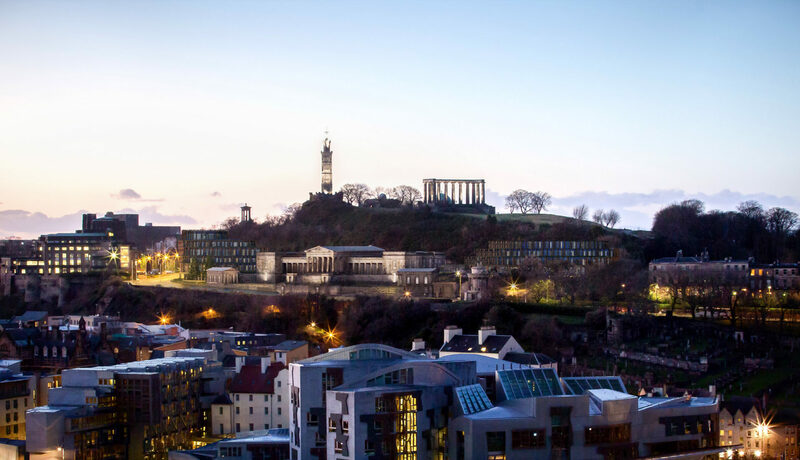 And that is to bring one of the world’s best hotels to the site, offering something that Edinburgh has simply never experienced before – benefiting our citizens and visitors and creating many long-term job opportunities for the city and for Scotland. Our proposals guarantee the future of Hamilton’s masterpiece – both architecturally and financially – without the need for any public funding. This is a building which has never been publicly accessible despite being publicly owned for almost 190 years. Our Rosewood Hotel proposal will transform this contradiction, literally opening the doors to all. We want to create an exceptional new legacy for the Royal High School, one that can be experienced and enjoyed by all. 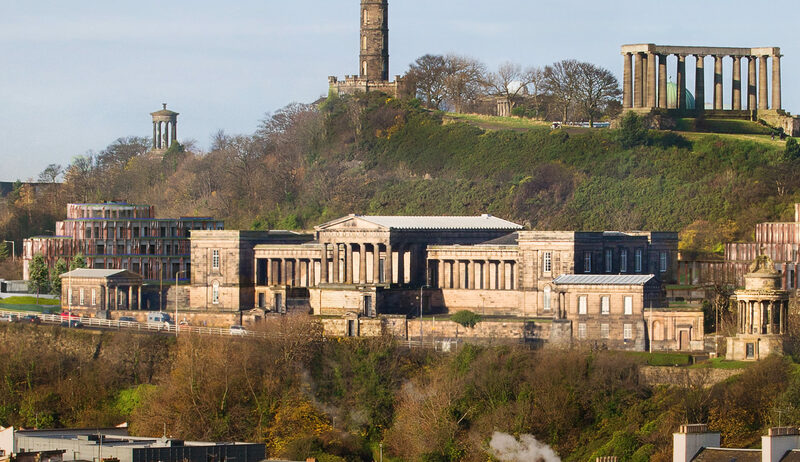 • The buildings have been without a permanent alternative use for 50 years, since the relocation of the Royal High School in 1968, and it is common ground that various proposals for the site have failed to secure a sustainable long-term use over a number of years. • The buildings are on the Buildings at Risk Register, cost the public purse more than £250,000 per annum just to keep wind and watertight and are in need of investment according to the Council. It is submitted that this situation is wholly inappropriate for one of Scotland’s most important buildings (a status that is not in dispute), especially when they lie within the World Heritage Site (“WHS”). • Following a competitive tendering process, the Appellants were selected by the Council as ‘preferred developer’ in 2009 to deliver a commercial use for the Buildings as an hotel of international standing. • The design of the hotel, by the late Gareth Hoskins, is of the highest architectural quality and reflects conservation principles identified by extensive research into Thomas Hamilton’s vision for the site and the special interest of the buildings undertaken by Andrew Wright, a leading accredited conservation architect. No evidence to the contrary on architectural quality was led by any opposition party. • The hotel proposals, when assessed sensibly and objectively, will not adversely affect the Outstanding Universal Value of the WHS. There will be some impacts on the listed building and other heritage/landscape designations, as there would be with any development, but these have been limited by design and there will be a number of beneficial impacts. • There is also no credible risk of Edinburgh losing its WHS status. UNESCO has only twice done this where (i) the Government in Oman preferred to drill for oil in the WHS and (ii) in Dresden, Germany, a major road and bridge were built across the valley which enjoyed WHS status. Liverpool, where a significant number of high rise buildings are being proposed in the WHS, still retains its WHS status. • The Appellants have sought to address the Council’s concerns on the first hotel scheme, that was narrowly refused by one vote at committee because “too much building” was proposed, by reducing the height, scale and massing with the second hotel scheme. However, the Council increased its opposition to this second scheme. • Two experienced hotel consultancies have assessed the viability of the hotel proposals on behalf of the Appellants and found them to be viable. This has been independently reviewed on behalf of the Council and those conclusions accepted. • The hotels will deliver net economic benefits and a contribution to the tourism sector which will bring significant benefits to the city, regional and national economy, a factor supported by the Council. • The hotel proposals will enable a sustainable long term commercial use for the buildings without public subsidy and act as a catalyst for further investment in the surrounding area, drawing footfall further east from Princes Street to an often overlooked part of the city, a factor supported by the Council’s Economic Development team. • The Council’s committee reports acknowledged that a hotel of the highest quality is proposed. Securing Rosewood as the operator of the hotel is a unique opportunity for Edinburgh and Scotland to join a network of luxury hotels inspired by the culture, history and geography of their locations across Europe and beyond, and secure the benefits that brings. Furthermore, a Rosewood will further improve the profiling of Edinburgh and Scotland on a global stage as well as improve the ability to attract Ultra High Net Worth and High Net Worth Individuals to visit the city and perhaps then decide to invest further in the city and in Scotland. • The hotel proposals will also enable considerable public access to this important listed building through a variety of public areas (e.g. bars and gallery spaces). This is in contrast to the RHSPT scheme which, due to being a school, would have to place various restrictions on access, as accepted by the Council. 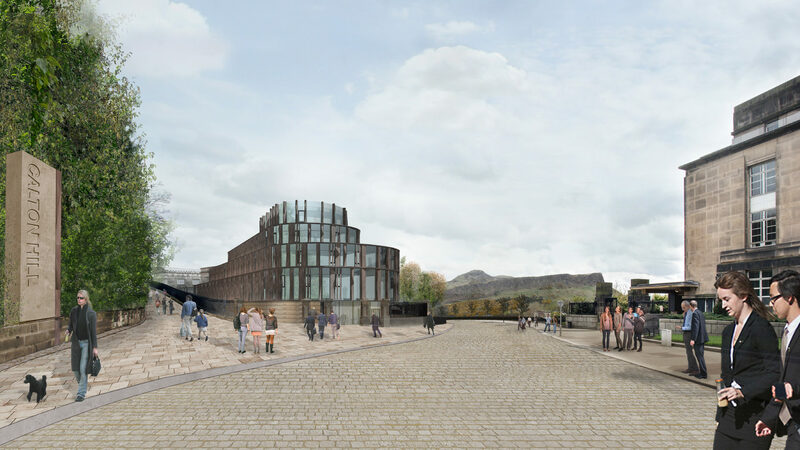 • The RHSPT proposals for a music school on the site would have a harmful impact on the special interest of the Thomas Hamilton building and the contribution that its setting makes to that special interest, not least because of the substantial excavations and other interventions proposed. It therefore cannot be said to be another option “with less impact on its special interest” in terms of historic environment policy. (i) The RHSPT has no legal control over the site and cannot gain any interest for several years, at least. (ii) If the Appellants’ interest in the site ended for whatever reason, the Council would still be obliged to obtain ‘best value’ for the site which was achieved previously by undertaking a Europe wide procurement exercise. (iii) There is no legally binding commitments between RHSPT and the music school to deliver a music school, and the RHSPT has said it is open to considering other uses. (iv) Dunard Fund, who claims to be funding the RHSPT proposal, have confirmed that they have committed greater sums to the RHSPT proposal and the IMPACT concert hall project than the funds they currently have in their account. (v) Ministerial approval is required for the relocation of the music school due to the Aided Places funding it receives (St Mary’s Music School (Aided Places) (Scotland) Regulations 2015). It is unclear whether such approval would be forthcoming. • In conclusion, the proposals are in full accordance with the Development Plan and all other material considerations further support the proposals. 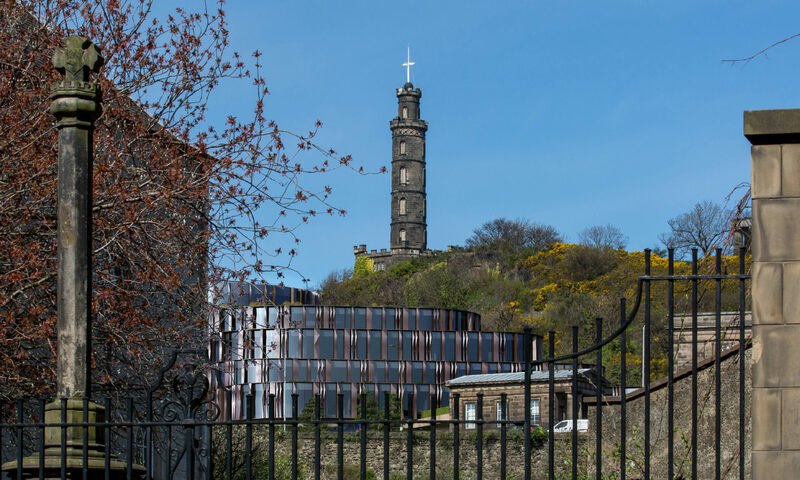 We were first appointed by the City of Edinburgh of Council in 2010 to deliver a world-class privately funded solution for the Old Royal High School following the winning of the formal design competition. And it is now clearer than ever that Edinburgh and Scotland will benefit from our proposals. Since our agreement was ratified by the relevant Council committees in 2014, we have continued to invest significant time, effort and resources into our proposals. We have listened to a wide range of stakeholders, local interests and heritage experts, and taken their views on board – with heritage and conservation central to our plans. Our proposal not only protects and promotes the prominence Hamilton’s centrepiece building but is also underpinned by a viable, long-term investment plan to maintain it for the first time as an accessible part of the city’s living and breathing heritage, and bringing a truly world-class brand to Scotland. 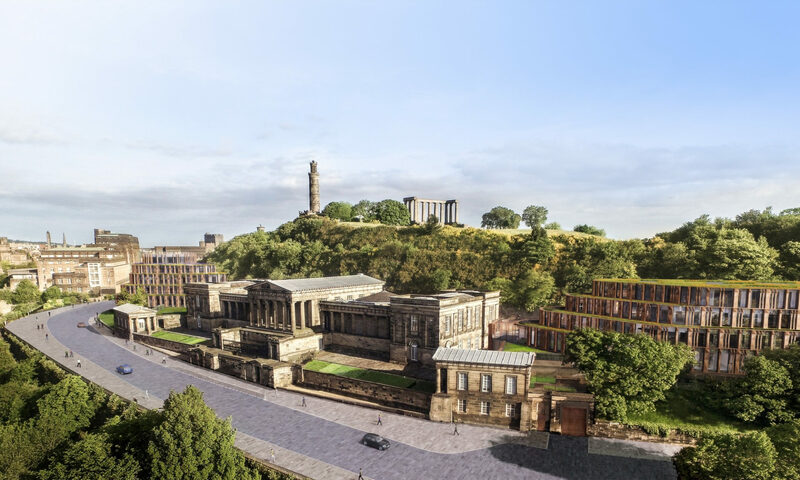 – Under our proposals, The Old Royal High School will be transformed into a spectacular and accessible entry point and central focus for the new privately-funded £75 million Rosewood Hotel. It will welcome guests and visitors alike with its renowned hospitality, food and drink – including cafes, restaurants and public art spaces. – At its centre, will be the magnificent Hamilton Building, designed by celebrated architect Thomas Hamilton in 1826. The building, which has been in a state of disrepair for the last 40 years, will be restored to its former glory and be an accessible and largely unaltered centrepiece for the Rosewood Hotel. – This is a building which has been publicly owned since 1829 but never publicly accessible. 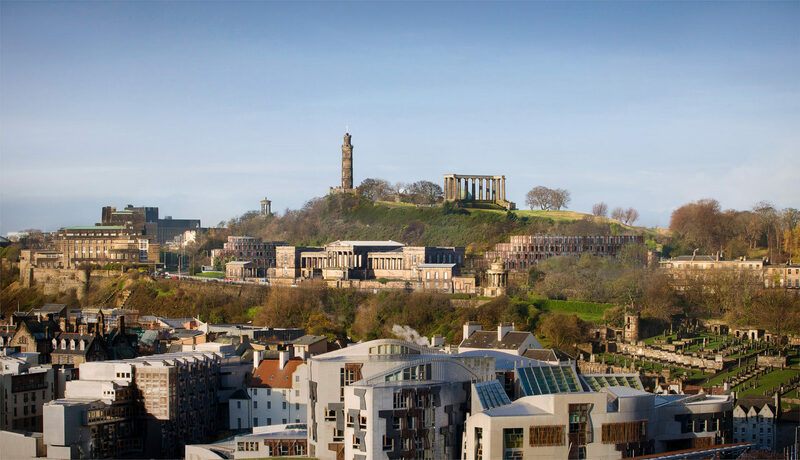 The Rosewood Hotel development plan will change this, and create a long-lasting visible legacy that exists on a world stage, to be enjoyed and experienced by everyone living in or visiting Edinburgh. 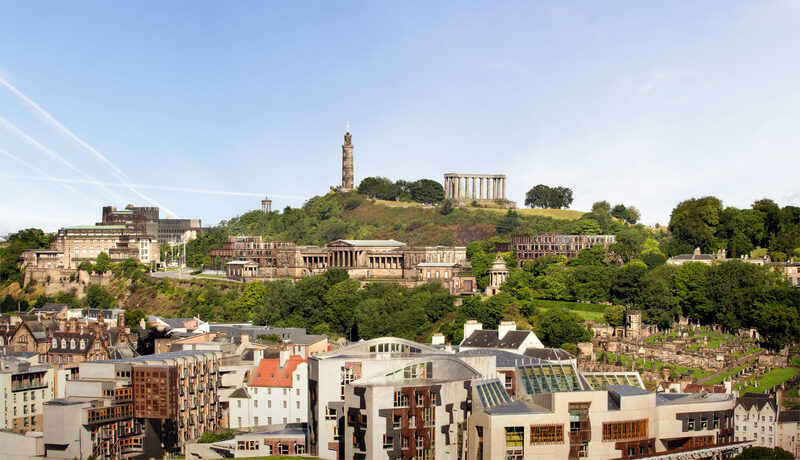 – The Rosewood Hotel will become a destination in its own right, regenerating the Calton Hill area of Edinburgh, acting as a landmark focal point for visitors and become an important part of the overall regeneration of Edinburgh’s Eastern Quadrant including the St James Quarter and the Waverley Valley. – It is anticipated that 250 direct full-time jobs for the city will be created by the Rosewood hotel development, as well as supporting 590 additional jobs in the wider supply chain, particularly in the food & drink and tourism sectors. – In total the project is expected to generate £35.1 million in gross domestic product annually for Scotland’s economy, sufficient to support 850 jobs on average throughout that period and to generate £13.3 million in taxation annually. (Source Oxford Economics, Economic Impact Assessment 2017).